Fresh ocean breezes gently blowing over a calm beach. Soft white floral background on a mossy musk base. A fresh coastal fragrance. Made with pride in the USA, a product of American agriculture, Soy wax infused with pure beeswax and no artificial dyes and 35 hours of unsurpassed burn. Perfect for those with allergies and environmental sensitivities. Your purchase automatically enrolls you in our free candle club. Purchase 10 candle of the same sizes and get 2 of the same size free! We track automatically. Love soft ambiance with rich fragrance? Choose Milkhouse. 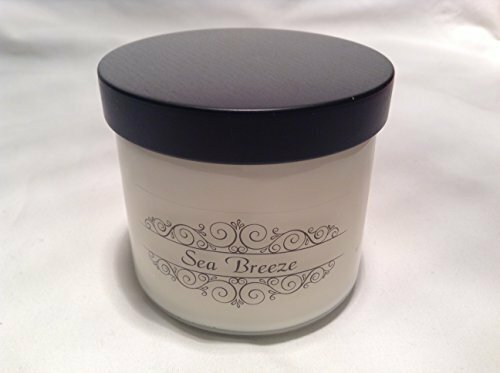 Cleaner burning soy wax candles infused with pure beeswax. No harmful carcinogens to harm your family or pets. No artificial dyes.